1. Lighting: This is a biggie. When it comes to your photographs, lighting is everything. If you look at the pictures that get published in popular wedding magazines and blogs, you'll notice something about all of the photographs: they were shot in natural light. I'm a natural light kind of gal, too! When planning your photographs, you should consider lighting. Think about the lighting situations throughout your entire day: getting reading, doing portraits, getting married and during the reception. If your event is going to take place in a low-lit, dark atmosphere, your photographs will represent that. Of course, this doesn't make photography impossible. You should just understand that, as a photographer, there are things I will have to do to compensate for the lack of light. Consider hiring a lighting expert to create the perfect atmosphere for your event (both your photographer and videographer will love you for it). When you have the luxury of choosing your lighting, natural light is always best. If you're getting ready in a hotel, ask them for the room with the largest windows. 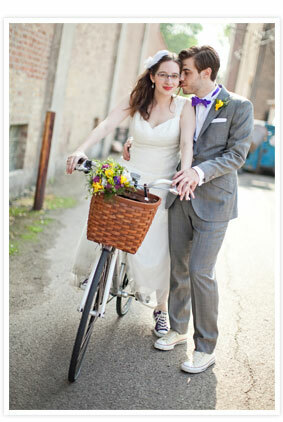 And, for portrait sessions (especially on the day of your wedding), you should try to plan accordingly. The more natural light, the better the photos! 2. Preparing: With most events, my clients are kind enough to provide an itinerary to both myself and the participants. This helps everyone get on the same page. You should allot plenty of time for photographs and make sure to let everyone know when photographs will take place. This will keep both you and your photographer happy and stress-free. Also, you should be prepared to take the kind of photographs that you love. This means, do your homework! Check out my blog and my website and find images, poses and locations that catch your eye. Remember: imitation is the best form of flattery! Don't be afraid to let me know which images are your favorites. And, don't be afraid to practice "smiling with your eyes" in front of the mirror. Work it! 3. Understanding: It is important that you and everyone involved in your photographs understand what kind of photography I do. Send your friends and family links to my website. Have them look at my portfolio. This will help everyone to know what to expect from both myself and the photographs. Sometimes, parents and family members expect for me to take the kind of photos that they had at their wedding. While I'm happy to try to recreate those memories, I'd prefer to do it in my own style. It's much easier to have those conversations before the day of the wedding! 4. Experimenting: I'll be honest, gazebos make me cringe. I like shooting in alleys as much as I like shooting in a field of wildflowers. And, I'd be happy to never shoot a photo near a fountain ever again. I do my best work with clients that aren't afraid to think outside of the box. Try something different. Spend some time scouting out locations with lots of color and texture. Find ways to makes your photos represent YOU (and not what you think wedding photos should look like). 5. Trusting: This is the most important tip. As your photographer, you need to trust that I will take the best photographs I possibly can. You've looked at my portfolio and have seen how I like to be creative and artistic. You must trust that I will use this creativity to interpret your day in a caring and thoughtful way. You hire me, and you get me. I will treat every client (and their photographs) as a priority.